Guests on a recent Silversea Expeditions voyage were treated to one of nature's most stunning phenomena: the aurora borealis, or northern lights. This awe-inspiring display of otherworldly green lights dancing across the night's sky came into view as Silver Cloud sailed off the southwest coast of Greenland on 4 September 2018. The sighting was representative of Silversea's commitment to unlocking deep travel experiences for guests. For Silver Cloud's guests, who gathered on the ship's top deck to witness the lights, it was a spellbinding finale to a day spent exploring Qeqertarsuaq, a small town on scenic Disko Island. They had hiked through scenic trails to reach cascading waterfalls and a bay of glistening icebergs. Enriching guests' immersion into the authentic beauty of Mother Nature, the sight of the northern lights – which are formed by electrons interacting with gases in the magnetosphere - offered a truly unforgettable memory. 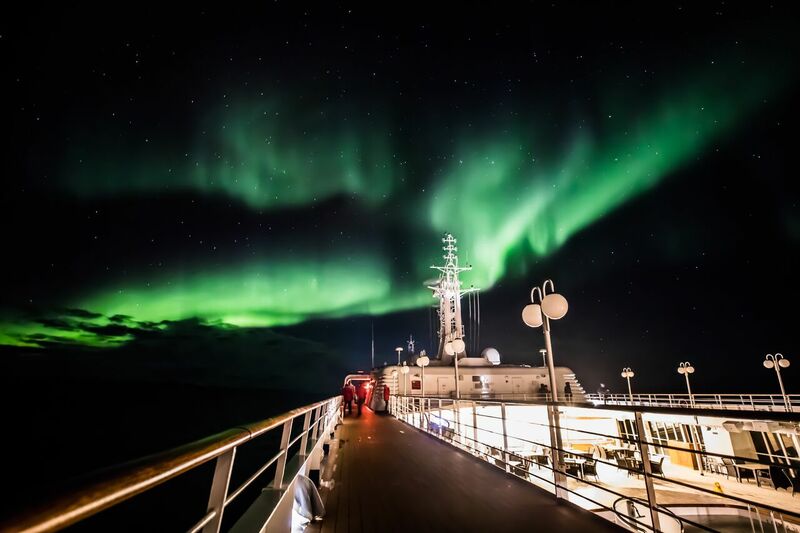 "It's a real privilege for us to enable travellers to unlock such thrilling experiences as witnessing the northern lights," says Conrad Combrink, Silversea's Senior Vice President of Strategic Development for Expeditions and Experiences. "Using our expert knowledge and our collective experience, we create the ideal conditions for our guests to enjoy remarkable travel experiences across the world; we're delighted that on this occasion Silver Cloud was in the right place at the right time for our guests to witness a once-in-a-lifetime display. Moments like these are what traveling deeper is all about." In 2018, Silversea Expeditions celebrates its 10thanniversary of luxury expedition cruising. Over the past decade, the cruise line has specialised in taking travellers closer to the authentic beauty of the world, unlocking deep travel experiences in ultimate comfort with its fleet of intimate ships. Silversea sails to over 900 destinations across the world, taking guests closer to fascinating cultures and beautiful landscapes. 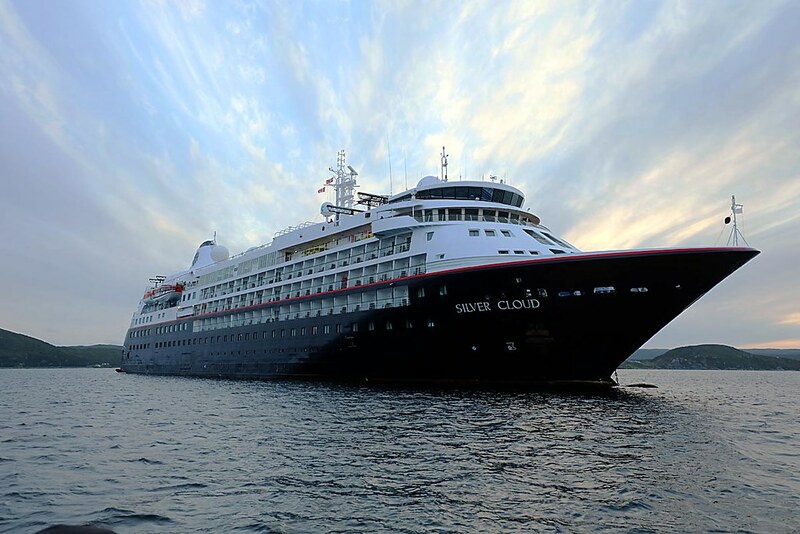 Silver Cloud will return to Greenland on several expeditions in 2019, including voyages departing from Kangerlussuaq on 26 August and 11 September – during the optimal time period for spotting the northern lights. Hosting just 254 guests, the luxurious Silver Cloud carries a fleet of 16 Zodiacs and 10 kayaks, providing the opportunity for guests to connect deeper with a destination from the water. Depending on the region, between 20 and 22 Expedition Team members are always on hand to share their considerable knowledge and insights with guests. They provide lectures in the multi-tiered Explorer Lounge, run workshops, lead Zodiac and kayak trips, and guide nature walks -- all of which is complimentary. Aboard Silversea's ships, guests enjoy ocean-view suites, sumptuous cuisine, and the personalized service of a butler. Enriching the experience are such all-inclusive amenities as complimentary premium wines and spirits, specialty coffees, bottled water, juices and soft drinks served throughout the ship; an in-suite bar, stocked with guests' preferences; an in-suite 24-hour dining service; and unlimited complimentary Wi-Fi, location permitting.